The Federal Communications Commission (FCC) has taken the first step toward large-scale deployment of 5G wireless service by opening new high-band spectrum for auction. Bidding by various providers began Wednesday on 1.55 gigahertz of available airwaves. Other auctions will follow in early 2019. “These airwaves will be critical in deploying 5G services and applications,” said FCC Chairman Ajit Pai. “And we’re not stopping there. Between the auctions this year and next, the FCC will push almost 5 gigahertz of spectrum into the commercial marketplace over the course of the next 15 months. To put that in perspective, that is more spectrum than is currently used for terrestrial mobile broadband by all wireless service providers combined. In fact, 5G will need that space because it has been described as a fundamental, not incremental change in broadband technology. Not only will connectivity be faster and with much less latency, capacity will be greatly expanded. While 4G networks connect millions of cellphones and tablets used by consumers, 5G networks will support billions of connected things, such as smart appliances. The network can also connect cars and significantly improve highway safety. You might notice your current 4G network service can get sluggish when a large number of users are connected to the same tower or streaming data at the same time. 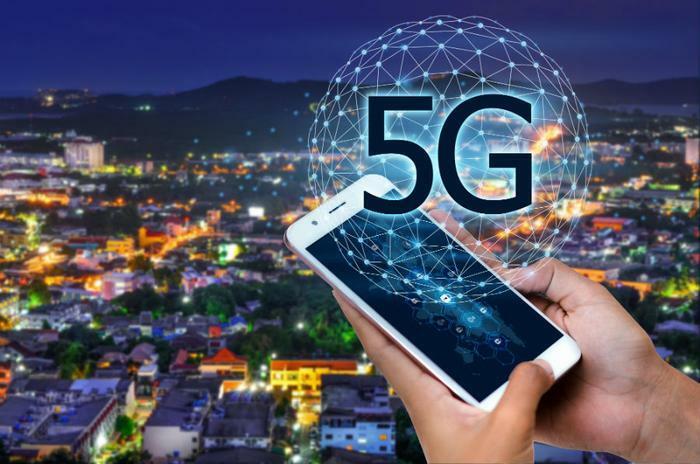 With 5G deployment, there will be small cells scattered throughout the coverage area, dramatically increasing the network capacity and speeds available to consumers. Both Verizon and AT&T have begun the limited rollout of 5G services in select markets. This week Verizon conducted what it said was the world's first 5G data transmission on a smartphone on a commercial 3GPP 5G New Radio (NR) network. Verizon 5G Home is currently available in limited areas of Sacramento, Los Angeles, Houston, and Indianapolis. AT&T began 5G service this year in Dallas, Waco, Atlanta, Charlotte, Raleigh, and Oklahoma. It plans to add a total of 12 more markets by the end of the year.